LOS ANGELES • Johnny Depp's daughter defended the star on Sunday, after his actress-wife Amber Heard accused him of abuse and filed for divorce. One of Depp's former partners also allegedly said in a letter obtained by celebrity news website TMZ that the claims being made against him are "outrageous". 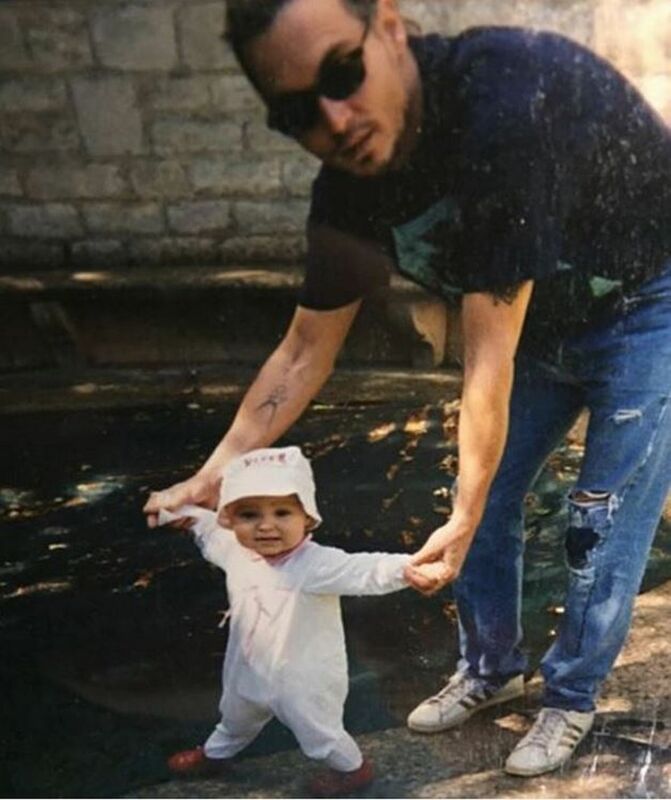 Lily-Rose Depp posted a photo on Instagram apparently showing herself as a baby, with her dad holding her hands and helping her walk. "My dad is the sweetest, most loving person I know, he's been nothing but a wonderful father to my little brother and I, and everyone who knows him would say the same," said the Chanel model in the caption. Depp was hit with a temporary restraining order last Friday after Heard, 30, appeared in court with a black eye, accusing him of assaulting her. Heard, who filed for divorce in Los Angeles last week and is seeking spousal support from Depp, 52, says she is the victim of repeated attacks by him. She submitted pictures to the court showing a bruise on her face that she claims was inflicted during a fight and said she feared he might harm her. They met while Depp was still in a relationship with French actress Vanessa Paradis, mother of Lily-Rose and her brother Jack. TMZ on Sunday posted a photo of a handwritten letter that it said it obtained from Paradis, in which she describes her former partner as "a sensitive, loving and loved person". "I believe with all my heart that these recent allegations being made are outrageous, in all the years I have known Johnny, he has never been physically abusive with me and this looks nothing like the man I lived with for 14 wonderful years," the note says. The letter is signed by Paradis, 43, dated last Friday in Los Angeles. Lily-Rose Depp, 17, was at the recent Cannes film festival for the premiere of La Danseuse (The Dancer), in which she portrayed American dancer Isadora Duncan to mixed reviews. Meanwhile, Depp's movie Alice Through The Looking Glass bombed at the North American box office, taking in an estimated US$28.1 million (S$38.9 million) between Friday and Sunday during the Memorial Day holiday weekend. X-Men: Apocalypse led the box office with US$65 million. Alice's opening is bad news for Depp, whose star has waned in recent years, its lustre diminished by flops such as Mortdecai (2015) and Transcendence (2014).